One of the countries dominating the headlines of global news lately is North Korea. As Kim Jong-un raises tensions and rattles his nuclear saber, the rest of the world is attempting to determine if this is a egotistical show of power for the benefit of all observers (as with previous leaders) or if there is real intention behind the rhetoric. Just this morning Pyongyang has warned that Tokyo would be a primary strike target if war were to break out, or if their test missile is downed; they've even moved their missile launch pad into position. Regardless of outcome of these provocations, I know that the bulk of the North Korean population will suffer. North Korean mainstream "news" consists of images of military parades in the immaculate capital city of Pyongyang; but the reality is that most of the population live in rural North Korea, which is subject to severe food shortages and extreme poverty. We know North Korea is a country that carefully controls and manipulates their media internally; they also broadcast the same flavor of propaganda externally on shortwave radio via the Voice of Korea. As shortwave radio listeners, we have the distinct advantage of being able to listen directly to the case of North Korea. We can actually hear (and analyze for ourselves) the North Korea propaganda directly from the source. Note that it's not uncommon for the Voice of Korea to unexpectedly go off air, likely due to power shortages: this fact is much more suggestive of the of general conditions in the country than the "news" itself. Depending on where you live in the world, your ability to hear the (relatively weak) Voice of Korea will vary. If you live in the Asia/Pacific region, the station is very audible. Yesterday morning at 10:00 UTC, I recorded an hour of their English broadcast to South America on 11.71 MHz. You can download an mp3 of the recording by clicking here, or simply listen via the embedded player below. 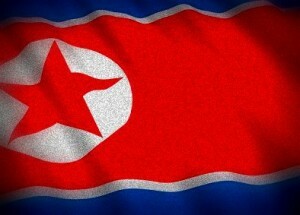 For a full schedule of the Voice of Korea, please visit this page on North Korea Tech.